Elon Musk said selling the "affordable" Model 3 as is would "...cause Tesla to lose money & die." Consumer Reports published today that the Tesla Model 3, long marketed as the future of affordable electric vehicles, is not worthy of the publication’s recommendation, and underperformed in their road tests. Meanwhile, Tesla disputed Consumer Reports’ claims and announced yesterday that the price of the vehicle would rise as more features like all-wheel drive were added. Specifically, Consumer Reports found that the stopping distance of the Model 3 — 46.3 m (152 ft) when stopping from 96.6 km/h (60 mph) — was worse than any competitor, and was even bested by full-sized pickup trucks. They also felt that the central touch screen control made it too distracting for drivers to adjust the climate control, along with other settings that are intuitive in other cars. Tesla responded by saying its own internal tests found a stopping distance of 40.5 m (133 ft), which would have been on par with other cars. Consumer Reports did find similar distances, but only on the first time they tested each individual car. Braking a second time, even after letting a given car’s brakes cool overnight, resulted in the longer distance. Regardless of technicalities and who tested what when, Tesla’s response seems to indicate that the company is unconcerned with what ought to be troubling test results. 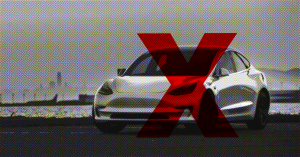 All this as the company, which is hemorrhaging cash, piles expensive features onto the car and CEO Elon Musk says that selling an affordable version of the Model 3 as-is would “cause Tesla to lose money & die,” as reported by The Verge. The car, which was originally slated for a minimum of 35 thousand dollars, is now more likely to first be released with features that bring it into the 70 to 80 thousand dollar range, and the newly-announced features may become available as upgrades down the road, once (or if) the company ever figures out how to make mass-production profitable.